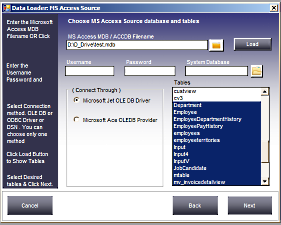 MS Access to MySQL Converter is a tool to Convert, Migrate data from MS Access Database to MySQL Database or from MySQL to MS Access database. It can convert multiple tables in one go from MS Access to MySQL or from MySQL to MS Access. While converting you can map source table columns to matching destination table columns, filter rows by specifying WHERE conditions. 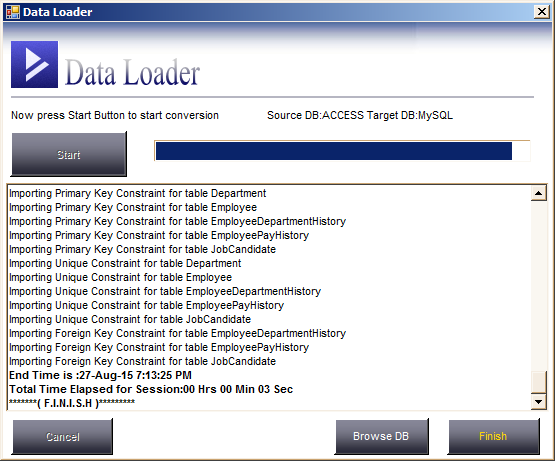 MS Access to MySQL Converter comes with a built in scheduler so that you can run transfer jobs at specified intervals. 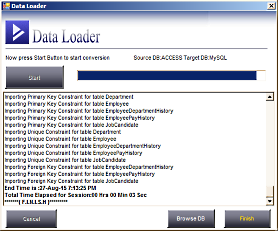 No need to run jobs repeatedly, just create a Session define the schedule date and time and MS Access to MySQL Converter will automatically executes your session in the background and records the actions in a specified log file. All Conversion Jobs are stored in a easy to manage repository. 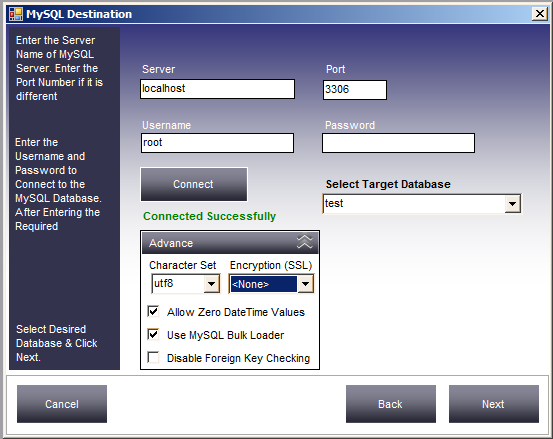 This feature updates the row in the destination table if a matching row exist otherwise it will insert a new row in the target table. Pricing to suit different needs and budget.